Supia Zion… OMG So Want!!!!!!! Oh, Supia…. look what you’ve done now. 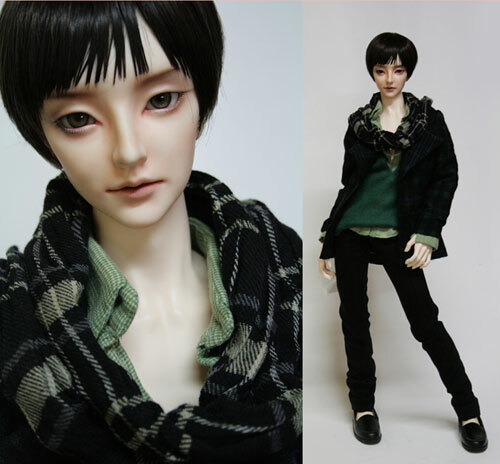 Not only did you sculpt the only female worthy enough to join my “males only” bjd wish list but now you’ve just made one of the loveliest boys I’ve set my eyes on for the first time in a very long time. I knew that checking out that news thread screamed trouble. “Supia”+”boy”=TROUBLE I TELL YOU!!!!!! khakhsdfkahluh!!! I want!!! T_T … right now;A; I actually joined in the discussion on DOA… for a moment (hey that’s a lot for me). Didn’t think he would fit in with any of my other boys… (not like it matters) but someone found a loop-hole *cough* *seijikat* *cough* … trouble maker. Still working on Merry Mart items. The show is this weekend. Still have lots of thoughts on my plans for next year and projects that will be going on, starting at the end of this year (so soon). All things that will keep me very busy… but a really good kind of busy that will involve me playing with dolls. Ugh, I’m coming down with a bit of a cold. Taking some zinc and going to bed. Feeling rather ho hum this week. Hearing about the new katsucon artist alley rules has not helped at all. Just when I was feeling hopeful about that convention again it just turned out to be the same old stuff.